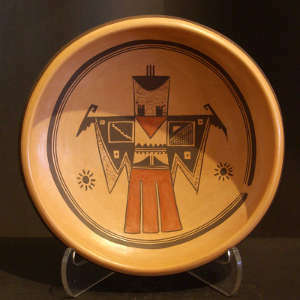 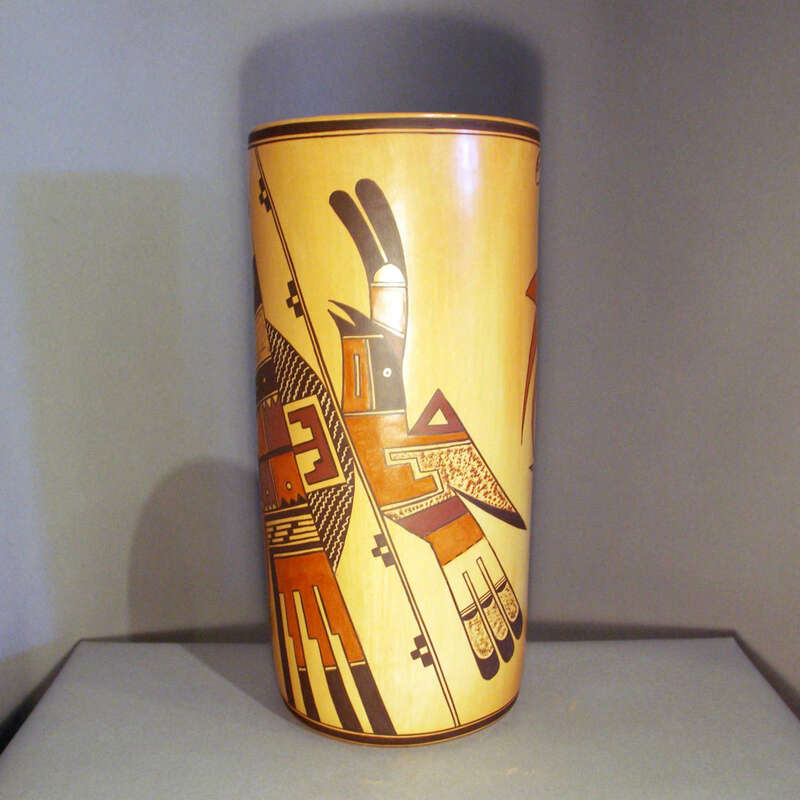 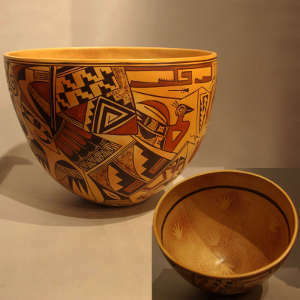 Jean Sahme is a Hopi-Tewa from the village of Hano at First Mesa on the Hopi Reservation. She was given the name, Sak' Honsee (which means Tobacco Flower Girl) when she was born. She's the eldest daughter in a family of eight brothers and sisters. 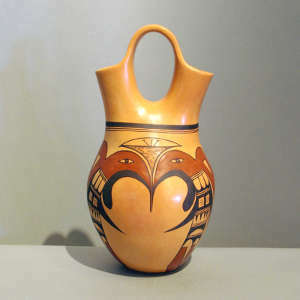 Jean only had one child, her daughter Donella. 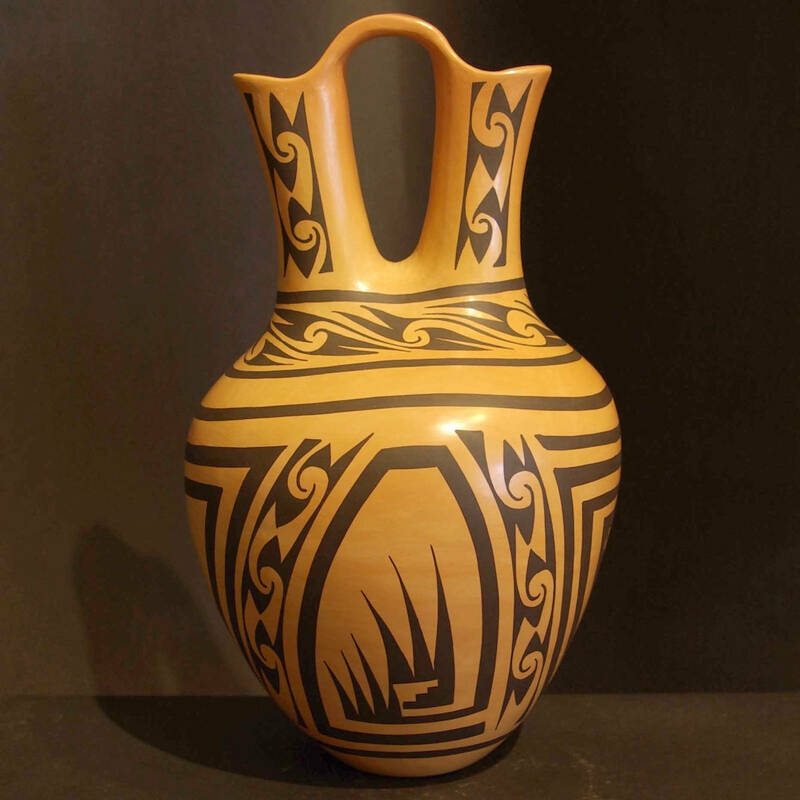 Now she's grandmother to two grandkids, Kaniela & Keanu who are her pride and joy. 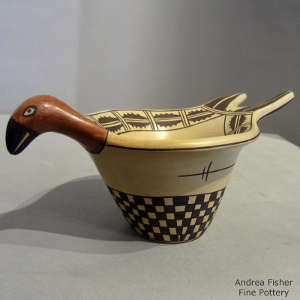 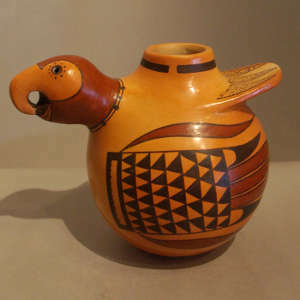 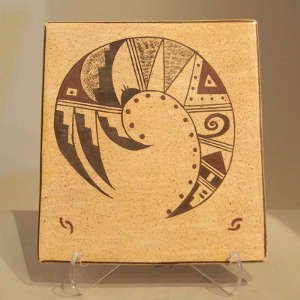 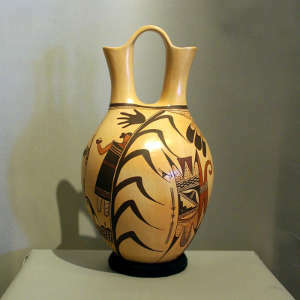 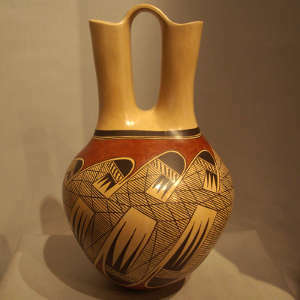 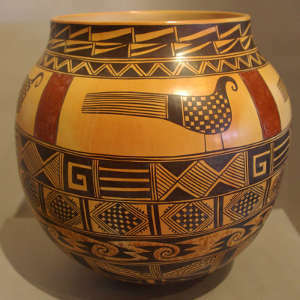 Jean began working seriously with clay in 1972 after she began working beside her grandmother, Rachel Namingha, who for the most part taught the basics and influenced her later pottery making techniques. Jean remembers vividly the advice her grandmother gave her, "Respect and follow the traditional method, as it will sustain your livelihood." Jean now looks back and agrees that what her ancestor, Nampeyo of Hano, handed down is truly a legacy to cherish and respect. 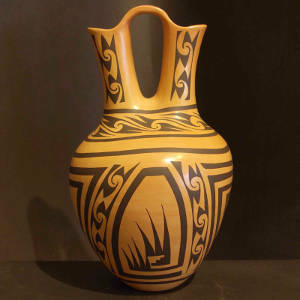 Jean thinks of herself as a simple person. 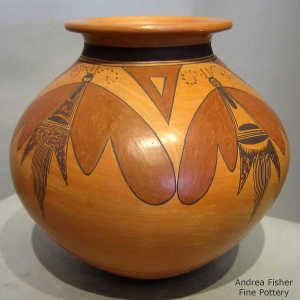 She is happy with a simple, laid back lifestyle that allows her to stay in tune with the natural elements she works with. 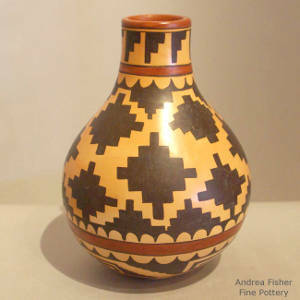 She has traveled to Europe and Canada to share her culture and demonstrate her pottery making techniques. She has always enjoyed teaching various age groups and diverse backgrounds. She has continued to instill the tradition handed down to her by teaching her daughter and her grandchildren, ensuring another generation of potters in the family. 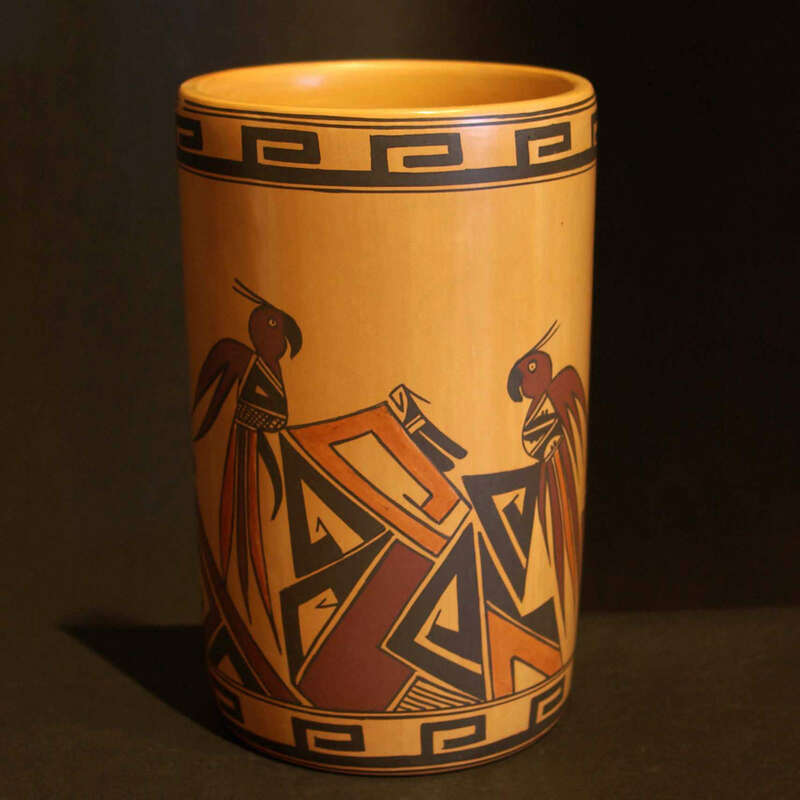 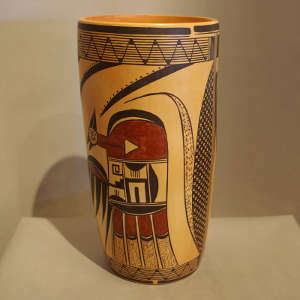 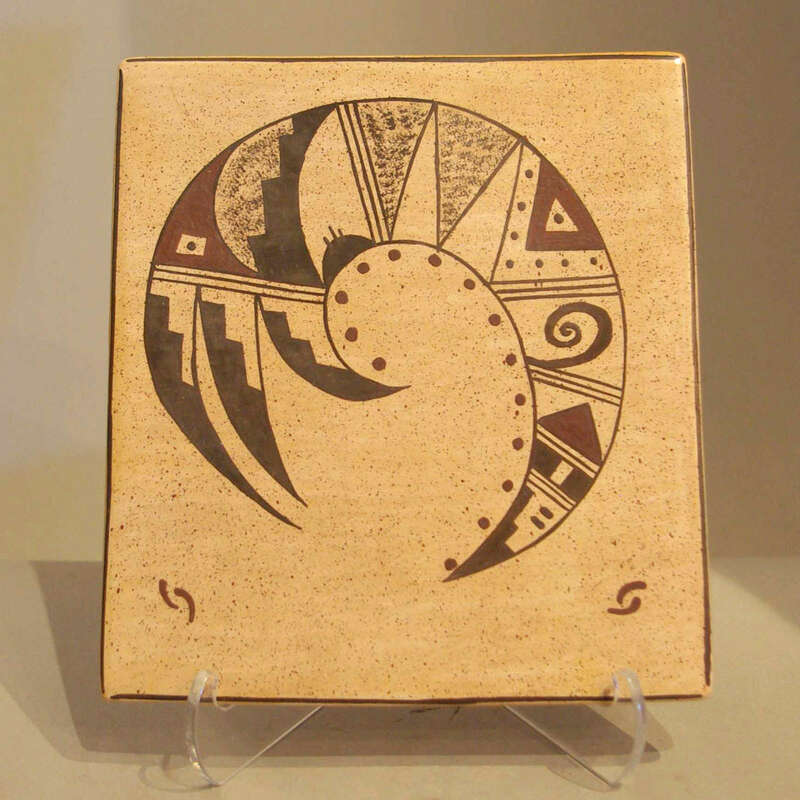 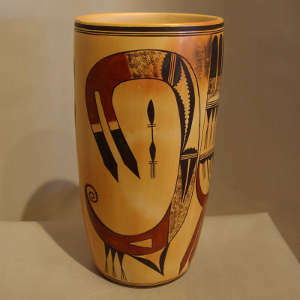 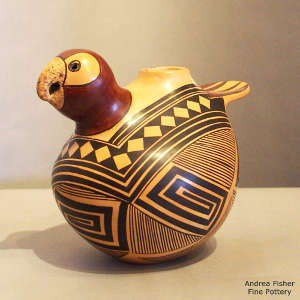 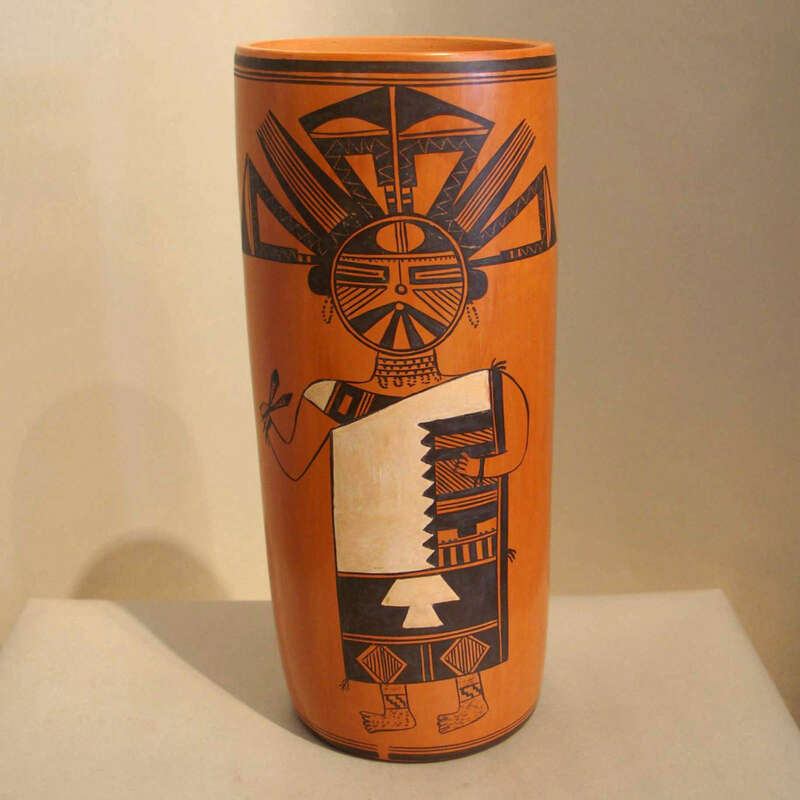 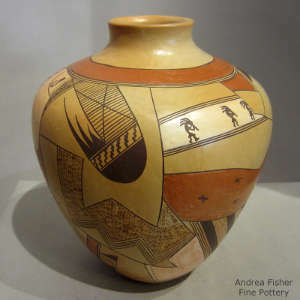 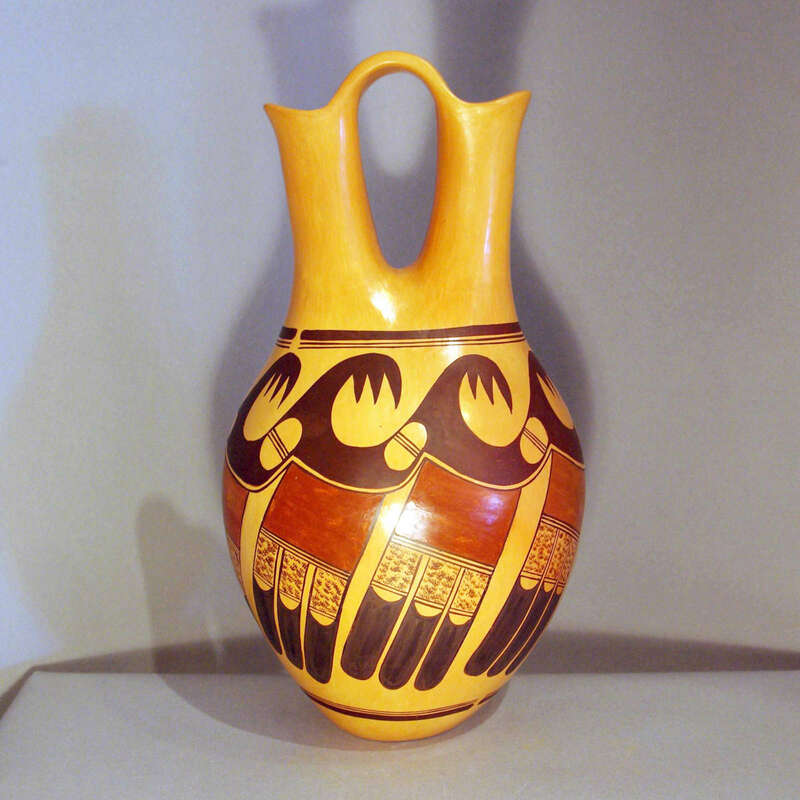 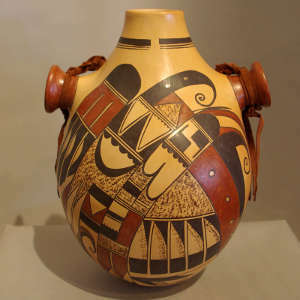 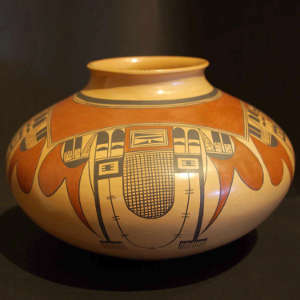 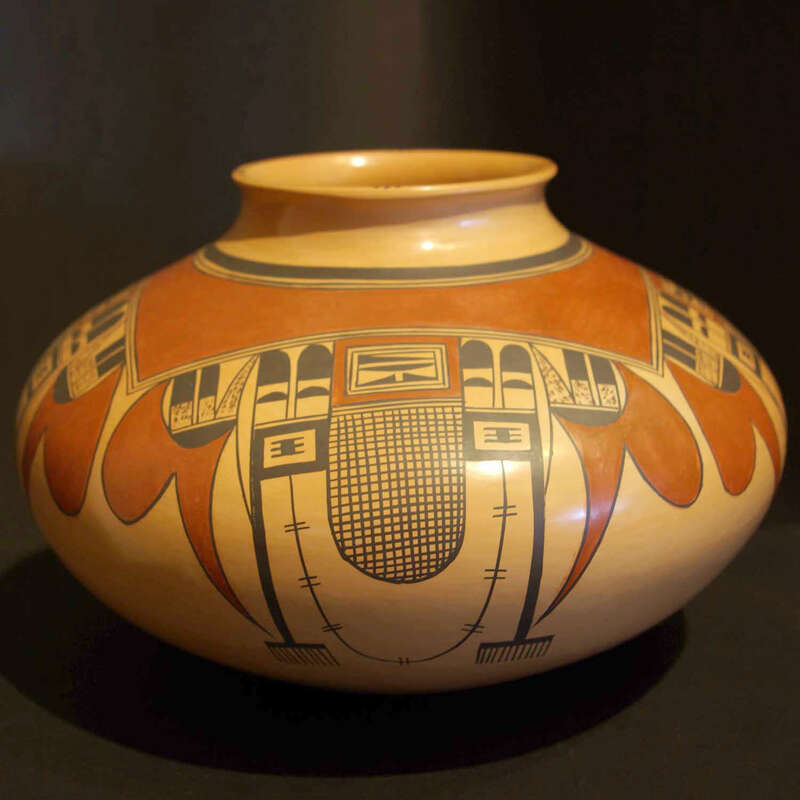 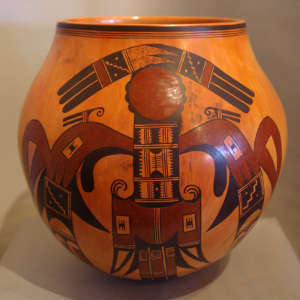 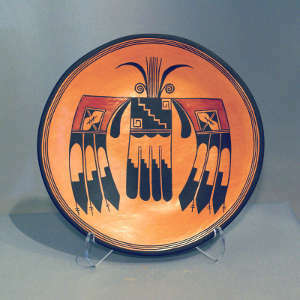 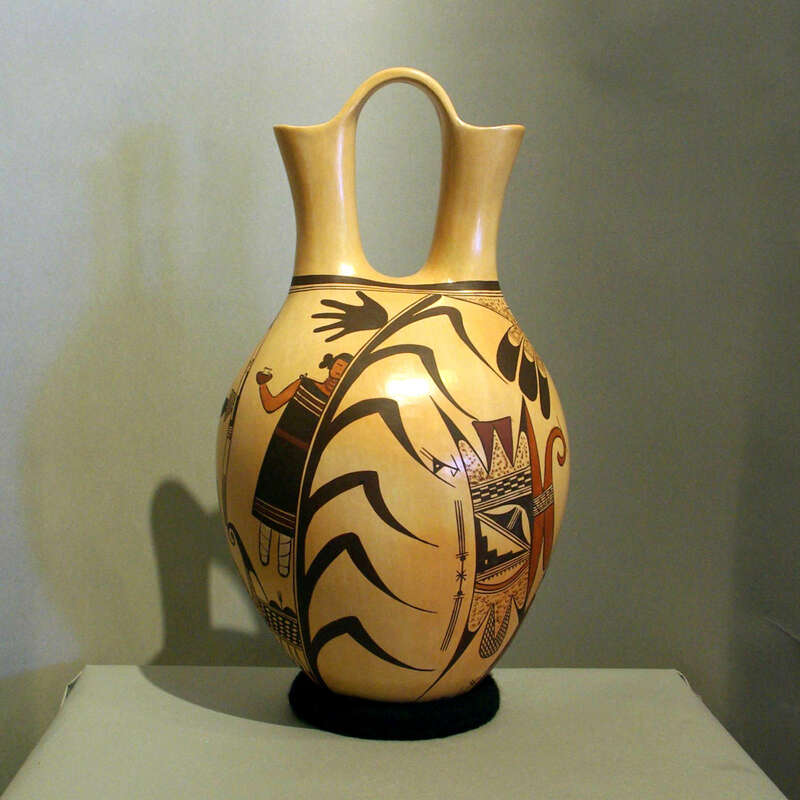 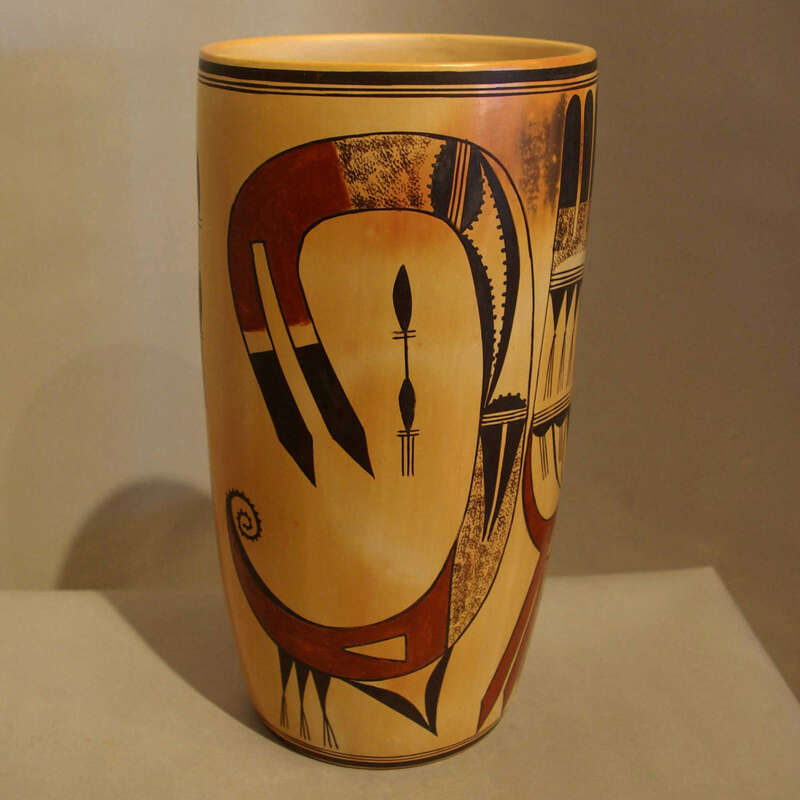 Jean is no longer producing pottery but her work can be found in various galleries, private collections, museums, colleges and universities in the United States and abroad. In 2014 Jean was declared an "Arizona Living Treasure."